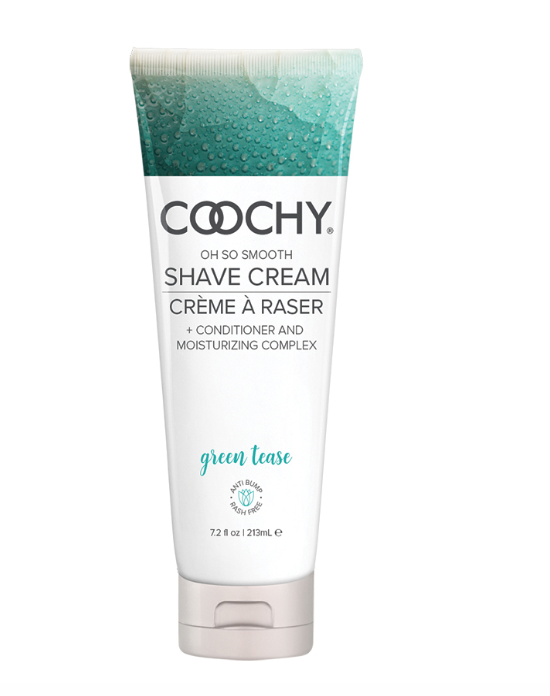 Coochy Rash Free Shave Cream dramatically reduces cuts, nicks, scrapes and razor irritation. It contains a special conditioner and moisturizing complex that provides an effortless glide for an oh so smooth shave. Your coochy will love you for it! Why It's Different: The conditioner and moisturizing complex provides the perfect lubrication and razor glide. Jojoba Seed Oil provides a protective barrier for skin and helps seal in moisture. COOCHY does not contain unnecessary foaming agents. Tip: As with any shaving cream, soak skin and exfoliate before shaving.